Rodeo has always been a popular pastime in Round Valley, a rural area in northeastern Mendocino County. Once you visit Covelo and the Round Valley area, you will appreciate the pioneering nature of the residents of the region. Round Valley is home to Round Valley Indian Tribes, a native community located on one of the largest native landholdings in California. Rodeo is a long standing tradition in Round Valley. There have been numerous ‘rodeo arenas’ in various locations throughout the valley over the years. However, the 1980’s brought an effort to develop a new, permanent arena and community center near the airport. Fundraising ensued and countless man-hours of labor were spent toiling away on a dream. In such a small community the upkeep is daunting at times and the facility remains a work in progress. 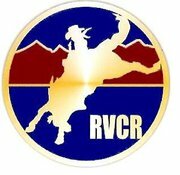 A group of rodeo competitors and enthusiasts formed the Round Valley Community Rodeo committee. They envisioned an event that would draw former residents back to Covelo and introduce new visitors to the beauty of Round Valley over the Labor Day holiday weekend. The Round Valley Lions and Lioness Clubs have been instrumental over the years, providing liability insurance, managing the beer sales and a quality concession stand and helping with the Rodeo BBQ and Rodeo Dance. All of the proceeds from the weekend are gathered, bills are paid, and the profit is placed back into the community in the form of maintenance to the rodeo grounds and community building, donations to the volunteer fire department, scholarships to high school seniors, sponsorship for the Covelo FFA Field Day Rodeo in May, location for CHSRA District 2 rodeos, and organizing an Easter Egg hunt and baskets for the community, just to name a few examples. There are plans to have showers, RV hookups, and upgrades to the rec center building, among other long-term goals. The first RVCR was held on Labor Day weekend in 1989. Hemsted Rodeo Co. was the stock contractor for several years and West Coast Rodeo Co. has furnished the stock more recently. RVCR was one of the first venues in Mendocino County that held Team Penning and Team Branding events. The Team Penning was replaced by Team Roping, but the Team Branding is still a popular event each year. The Queen/Sweetheart Contest is offered each year to help advertise the RVCR held each Labor Day weekend. Queen/Sweetheart contestants sell rodeo tickets that offer the purchaser a chance in a drawing for locally raised, cut and wrapped hog and lamb, generously donated by local rodeo supporters. They may also sell raffle tickets and tickets for the Blackberry Festival Bull Riding so please support our young ladies as they advertise the RVCR rodeo. A Junior Rodeo was added to the weekend to offer the up and coming rodeo stars a place to hone their talents. Rodeo will always be an important sport in Round Valley. Mark your calendars and find your way to Covelo, CA on Labor Day weekend and enjoy a small town, fun filled, rodeo event weekend. 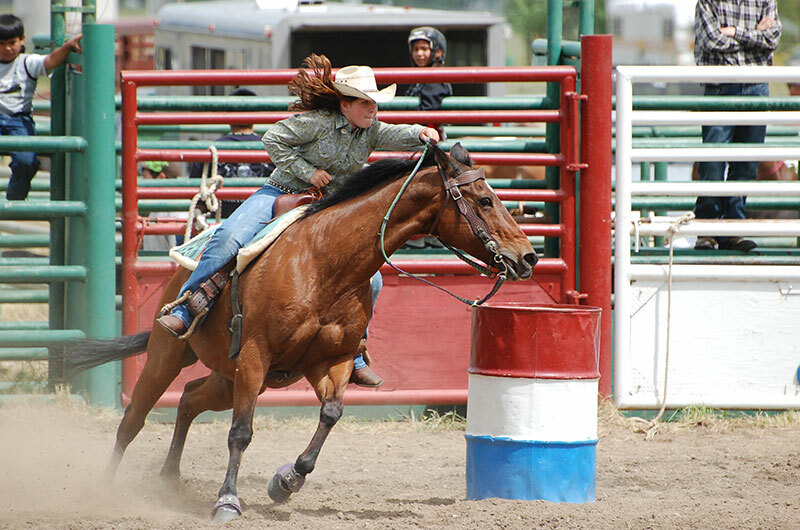 Camp out under the stars and visit the beautiful Middle Fork of the Eel River during the heat of the day because the events will be held in the cooler evening hours; an Open 4D Barrel Race and Bull Riding Friday night and a CCPRA Rodeo with select Local Events Saturday night under the lights, followed by a Rodeo Dance. There will be an Open Team Branding Saturday afternoon. Jackpot team roping will be held Saturday and Sunday mornings and Sunday afternoon will showcase the Junior Rodeo to wrap-up the weekend. Hope to see you in beautiful Round Valley on Labor Day weekend!